If you are looking for top-notch roofing service to restore your commercial property’s roof, come to ProCraft Exteriors. The goal of our commercial roofing company in Kahoka, MO is to provide you with a safe and secure roofing system for your property. Our trained contractors can provide you with the commercial roofing services you require whenever you need them. When it comes time for service, we work with you, taking all of your interests into account to find the best solutions and roofing options. We are your source for all your commercial roofing solutions because of our extensive list of services from installation to replacement. Call our commercial roofing company in Kahoka, MO now at (314) 786-3732 for all of your service needs. Built Up Roofing When you select built up roofing, you are obtaining a roof that is traditional and long lasting. Commercial Foam Roofing These seamless roofing systems supply quality water protection and also adds reflective safeguards against UV rays. Commercial Metal Roofing Repair / Install Metal roofing offers excellent security to commercial properties against storms and fire damage. Commercial Roof Consultant We can make sure your roofing project stays on schedule and under budget when we provide roofing consultant services. Commercial Roof Replacement Replacing your commercial roof is a large undertaking and should be handled by an experienced commercial roofing company. 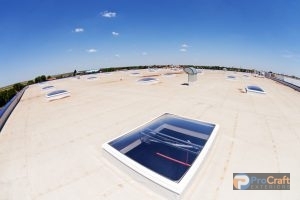 Cool (Reflective) Roofs Harmful UV rays can be reflected away from your roofing system, giving your property better energy efficiency, when you have a cool roof installed. Flat Roof Repair and Installation Poor installation and maintenance can cause your flat roofing system to fail, leaving your property vulnerable to further damage. Industrial Roofing Contractor Our commercial roofing company has the skills and training needed to provide for a variety of industrial buildings. The most popular roofing system for a commercial property is a flat roofing system. Your commercial roofing company should be trained in flat roofing repair and restoration for the most effective service. Contact (314) 786-3732 to schedule a service with our expert roofer team for your commercial roofing company needs. For many commercial property owners, total roofing replacement is a choice they would rather not need. Not only is this service costly, but it can impede upon your business day, making for a less than stellar customer experience and becoming difficult on your personnel. What if there was another choice for getting your roof system back to its best that was both economical and quick? Roof restoration provides a solution that strengthens your commercial roof system and even offers additional advantages that handle previous roofing concerns, such as ponding and low energy efficiency. With so many top of the line restoration choices available, we are the company to contact for your service requirements. Reach out to us at (314) 786-3732! Acrylic Roof Contractor To make sure year round protection, this coating is sturdy and at the same time adaptable enough to deal with the extreme temperatures of summer and winter. Commercial Roof Restoration Affordable and less intrusive, restoration could be the best choice your commercial roofing system requirements to renew its protection. Polyurea Roof Contractor Get a fast curing defended roof from application of polyurea roof coating for your commercial property. You can prolong the life of your existing commercial roofing system if you have a roof coating applied in Kahoka, MO. Each commercial roofing system is different and at ProCraft Exteriors, we know this. 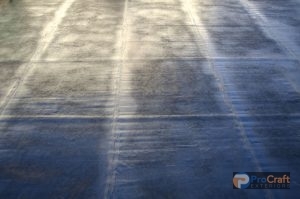 The coating options our commercial roofing company provides can work with any type of roof and handle your concerns. Flat Roof Coatings Safeguard your flat roofing with a coating specifically designed to handle the problems these roofs have to deal with. Industrial Roof Coatings Reduce the risk of leaks on your industrial roofing system with a coating specifically designed for your needs. Metal Roof Coatings Luster can be restored to your metal roof while preventing rust with a quick application of metal roof coating. 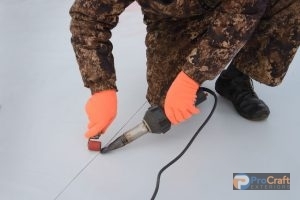 Urethane Modified Acrylic Your current roofing system can have its life extended with a urethane modified acrylic roof, which provides a low maintenance, durable coating for commercial roofing systems. Ready to begin your roof coating application in Kahoka, MO? Contact our commercial roofing company for service from our talented roofers when you dial (314) 786-3732. There are many types of commercial roof materials available on the market, all with different advantages, so it can be a little overwhelming when it’s time to choose. At ProCraft Exteriors, we cannot advocate the popular TPO, EPDM, and PVC membranes enough for your roofing system needs. These roof system options offer high quality benefits, including waterproofing, UV resistance, and adaptability, that supply you with the most comprehensive protection for your commercial structure, along with a variety of others unique to each one. EPDM is known for its resiliency, while PVC is the best choice for chemical, fire, and wind damage defense for commercial structures. 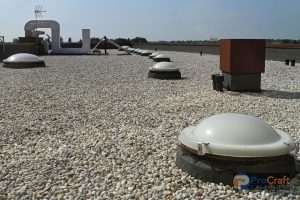 Commercial properties that select TPO roofs usually do so because of its energy efficient abilities. If you need more information on our materials, we are happy to answer your questions and match you to the best one. We even provide coating and roofing options that can improve your current system. With elastomeric, acrylic, silicone, and foam, you can choose materials to be laid over your existing roof for even more roofing benefits. These applications may improve energy efficiency, waterproofing, fix damage, and more. When you choose our commercial roofing company, you are guaranteed to receive the best product and installation available for your roof project. Set up your commercial roofing service in Kahoka, MO today when you dial (314) 786-3732.